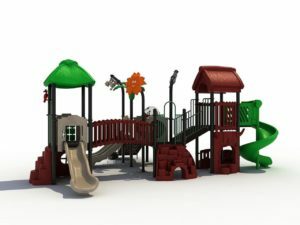 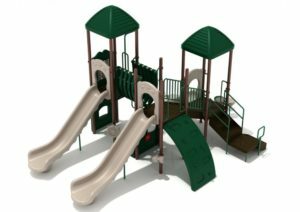 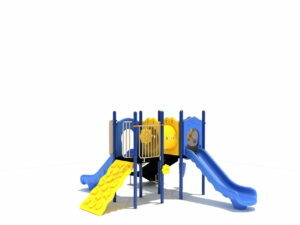 Product Use Zone:27' 1" x 34' 11"
Come explore the many features on the Big Dipper Playground! There are over ten different activities that will keep the children entertained for hours. 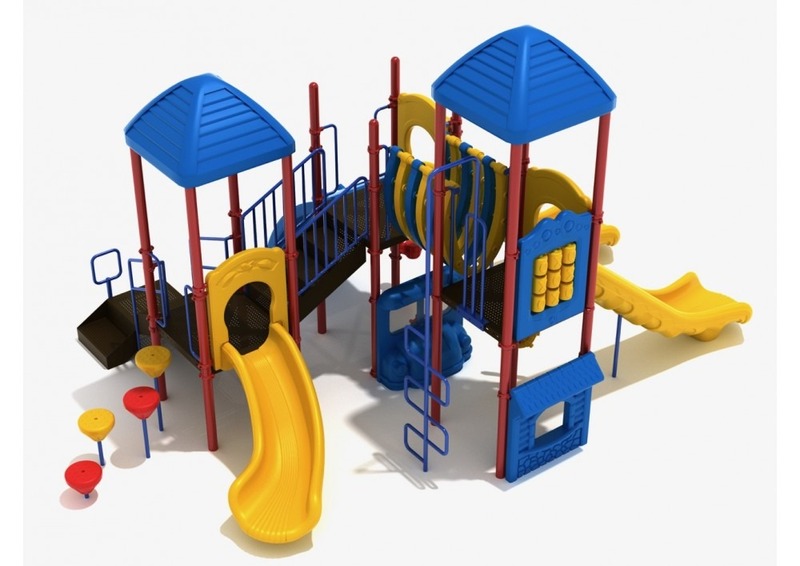 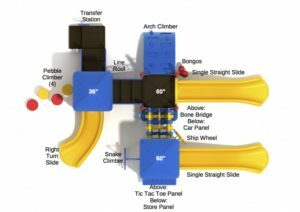 Some of the features include pod steps, an upright snake climber, an arch climber, bones bridge, a tic tac toe panel, a store front panel, a bus panel and a bones bridge that go along with three slides. 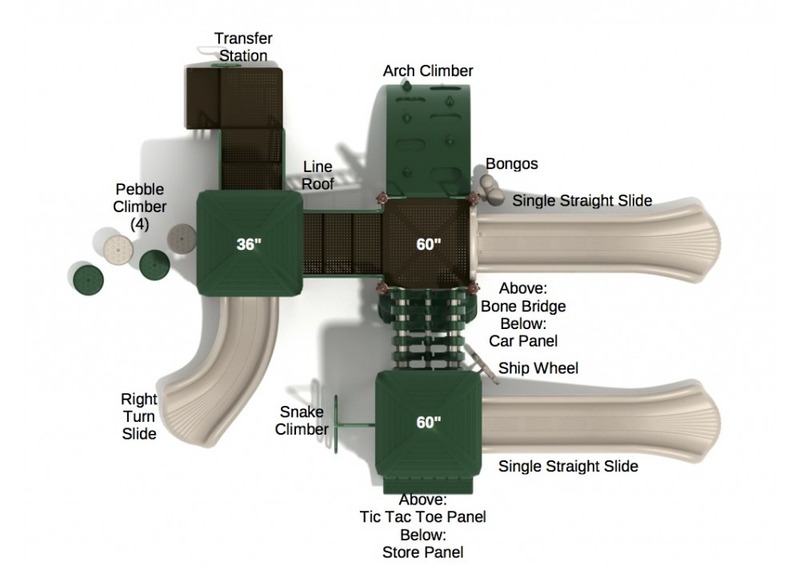 The decks start at 36 inches high and go to 60 inches. 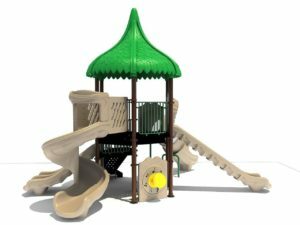 The two pyramid roofs give shade to kids playing on the structure. 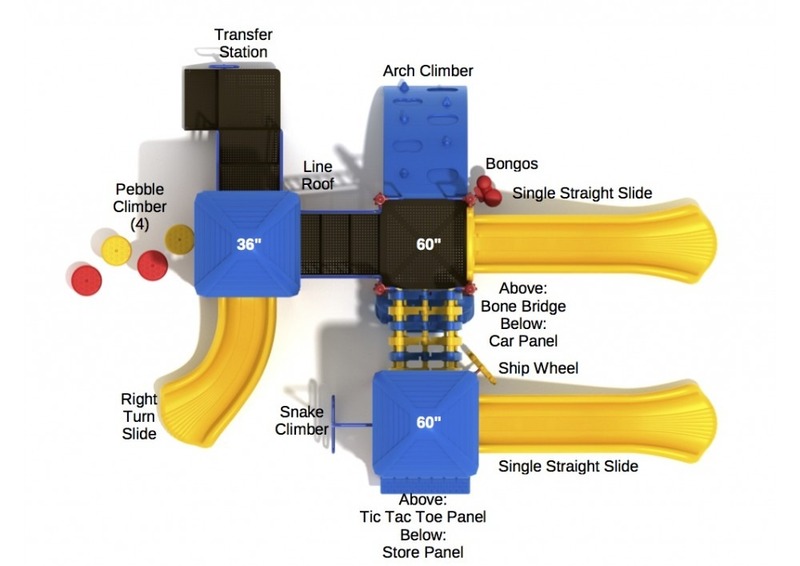 Additional features include bongo drums, a steering wheel and a transfer station.